We are taking the necessary steps to give you the best opportunity to feel us as we transmit these messages. We are not the only ones who are doing this. There are many beings, both physical and non-physical, who are reaching out to you, and they want to be felt and experienced. We all want to reach you in such a way that you get activated by us. We want you to know parts of yourselves that you can only know through feeling us. We, because we are from the Arcturian System, want to activate within you that which is Arcturian, that which is ninth dimensional, and that which is a seeker of spiritual mastery. That is what the Arcturian System is all about. Other beings want to activate within you that which is faerie, that which is Pleiadian, that which is feline, that which is higher dimensional. We could go on, but we won’t, because you get the idea. We all want you to feel the truth of who you are. 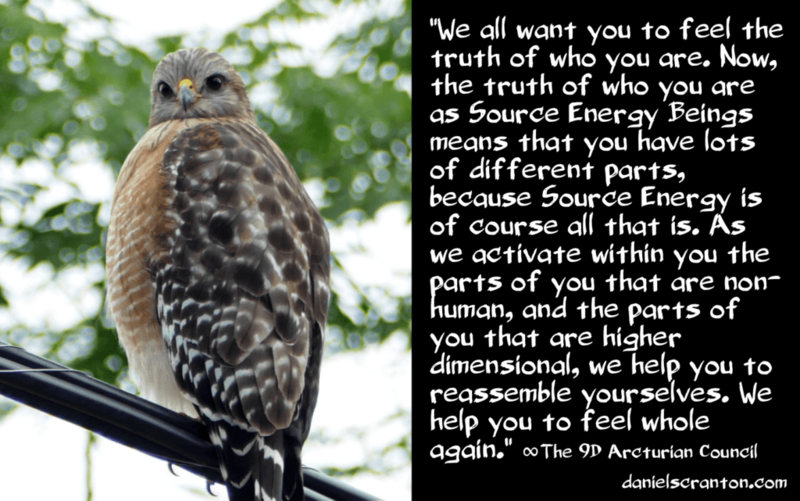 Now, the truth of who you are as Source Energy Beings means that you have lots of different parts, because Source Energy is of course all that is. As we activate within you the parts of you that are non-human, and the parts of you that are higher dimensional, we help you to reassemble yourselves. We help you to feel whole again. We also help you to feel less separate, less alone, and less mortal. You certainly are not mortal. And we are very happy to be a part of this putting together of the various pieces of who you are. We are very happy to remind you that you are so much more than a singular human being living a singular lifetime, and we are of course teaming up with all of these other beings to come up with the best possible approaches to activate within you all that you have been, all that you are, and all that you are becoming.